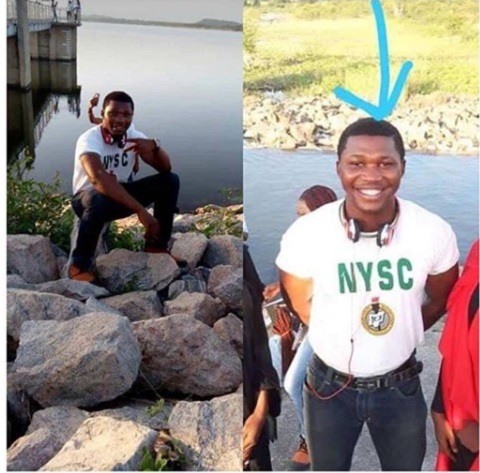 A tragic and sad incident has claimed the life of a National Youth Service Corps member who went to celebrate the end of his service year alongside his friends. A National Youth Service Corps member identified as Joseph Adebayo who went on a picnic to celebrate the end of his service year has drowned. It was gathered that the sad incident happened on Thursday, inside Gubi river in the outskirts of Bauchi. The deceased, along with two of his colleagues, had boarded a faulty canoe, which capsized. The two others were rescued by villagers, while Adebayo got drowned. The corpse of Adebayo, 26, who hails from Ogun state, was recovered on Friday and deposited at the mortuary of Abubakar Tafawa Balewa University Teaching Hospital, Bauchi. We do call u cool-joe cos u r a cool headed guy. Cos even me is so painful to know.